Dr. Suwit Wibulpolprasert is a general practitioner, a public health specialist, an administrator and a policy advocate. He began his career as a director and a practitioner in four rural district hospitals in Thailand. 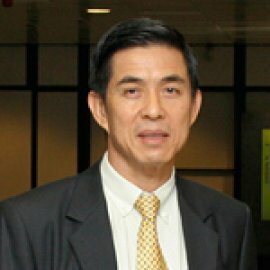 Later he was the Director of the Northeastern Public Health College, Director of the Food and Drug Administration Technical Division, Director of Bureau of Health Policy and Plan, Assistant Permanent Secretary and Deputy Permanent Secretary of the Thai Ministry of Public Health where he also served at the highest government official rank of Senior Advisor in Disease Control between 2006-2013. Dr. Wibulpolprasert has had extensive involvement in the areas of health policy and planning, health promotion, human resources for health, health economics and health care financing, universal health coverage and the intersection between international trade and health. He has published more than 100 papers, reports and books, locally and internationally, on these issues. Dr. Wibulpolprasert represented Thailand in many international health forums, including the World Health Assembly. He also represented Thailand and the South- East Asia Region as a member and Vice Chair of the Governing Board of the Global Fund to Fight AIDS, TB, and Malaria from 2001-2004, and chaired the Global Fund’s Policy and Strategy Committee from 2010 to 2011. In addition, he was the President of the Intergovernmental Forum on Chemical Safety in 2003-2006 and Vice Chair of the WHO Executive Board from 2004-2007. Dr. Wibulpolprasert is currently the Vice Chair of the International Health Policy Program Foundation (IHPF) and Health Intervention and Technology Assessment Foundation (HITAF) of Thailand, the Chair of the Institute for the Development of Human Research Protections Foundation (IHRPF), and the Chair of the Health and Society Creation Foundation. He is also currently an adviser to the Health Minister on Global Health.